The prices in market are constantly changing. On one day, it falls. On the other, it rises. This must be the reason why novice investors are in state of shock when they witness sudden movement in financial markets. Litecoin is one of the cryptocurrencies that is making noise this year and its prices have recently reached an elusive milestone after touching its all-time high. In fact what determines Litecoin price is not different from other assets. Supply and Demand - Cryptocurrencies is no exemption in the force of supply and demand. What determines Litecoin price is basically this concept. This economic factor has been a solid driver to the rally of the protocol asset. 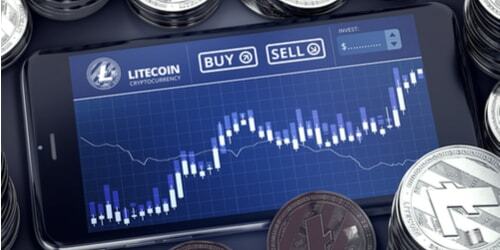 The demand for Litecoin has skyrocketed this year, which steered the digital asset’s price to above $60 as of August. Out of the 84 million supply of the digital currency, more than 50 million are already mined. Market News – Aside from the concept of supply and demand, market news also affect the price movement of cryptocurrencies. As news continues to report that the market is growing bigger and bigger, there are more people that are swayed and become interested in Litecoin, which in turn boosts the demand for digital assets. Government Policy – Laws and regulations from the government have a heavy weight on digital currencies. When People’s Republic of China declared a ban on cryptocurrencies, their prices, including Litecoin’s, fell sharply. Despite having independent monetary policy, Litecoin price is still affected by government policies. Technology – Although Litecoin is already used is some electronic transactions, there is still a heated debate about its ability to perform transactions cheaply and quickly, which caused some investors to avoid the protocol asset. Added to this is the difficulty in mining cryptocurrencies. A more secure blockchain technology makes the mining activity more difficult. Public Perception – The public’s opinion is one huge factor regarding what determines Litecoin price. Currently, the innovation has received mixed reaction from people across the world. Some people have lauded Litecoin for being silver to Bitcoin’s gold while others gave negative reception as it can be associated with criminality.